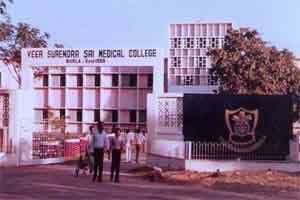 Veer Surendra Sai Institute of Medical Sciences and Research (VIMSAR) at Burla in Sambarpur city of Odisha will soon have super-speciality departments at its premise. Under the new scheme of things, there will be an addition of five new departments, besides the existing ones at VIMSAR. There will also be an addition of 60 ICU beds and 180 general beds, spelling good news for the residents of 10 western Odisha districts, besides neighbouring Chhattisgarh and Jharkhand, which the institute caters to. The five new departments are gastroenterology, endocrinology, clinical haematology, plastic surgery and paediatric surgery. The existing nephrology, urology, neurology, neurosurgery and cardiology of the hospital will be shifted to the new building and upgraded. A six-storey building, with Rs 80 crore to be spent on its construction, in addition to Rs 70 crore for buying equipment, is being allotted to VIMSAR to run these in-house departments. A land near the girls hostel of the institute has been identified for the purpose. The nodal officer of the project Sanjaya Mohapatra has confirmed this news in addition to informing that demarcation of the land will begin shortly and thereafter tender will floated for the construction work. As reported by TOI, the project is being taken up under Pradhan Mantri Swasthya Suraksha Yojana. “The Centre has approved the project and we have already submitted the detailed project report. The Union government will contribute 70% of the total project cost, while the state government will bear the remaining 30%,” said Mohapatra. The All India Institute of Medical Sciences (AIIMS) in Bhubaneswar will be its nodal centre, he said, adding, the super-speciality wing will start functioning in two years. “The super-speciality wing will be a boon for the patients,” said a doctor.